One of the other best features of Frozen Synapse is that it's been designed with absolute, unfailing utility. From the design of the interface to the boiled-down simplicity of the social media sharing options that let you upload match videos to YouTube, there is not a single pixel out of place. Whether you’re setting waypoints in-game or using the in-built community options to find your friends, you never need to exert yourself a mouse-click more than is strictly required. The only place in the entire game where this utilitarianism can ever be questioned comes in the form of the lengthy single-player campaign. Here there are frequent, though-quick interruptions as characters relay information or drip-feed you portions of the world history. It’s not something I can say I enjoyed, but nor can I fault it; if players head to the campaign in search of story, they can’t complain if they find it. 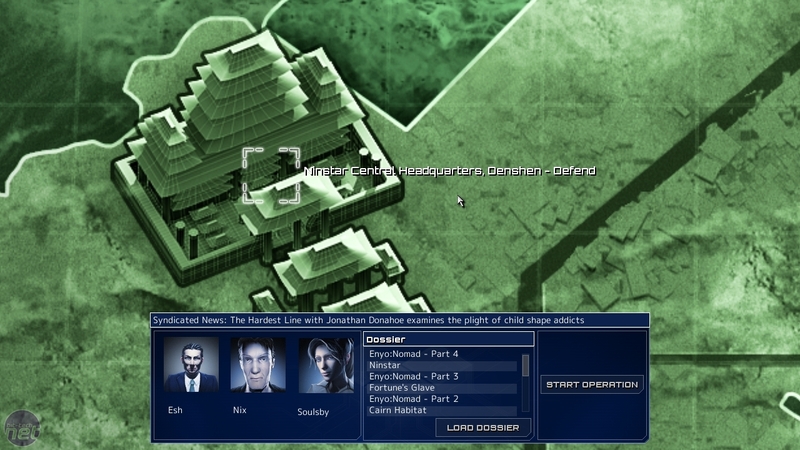 The single-player portion of Frozen Synapse does grate in other ways, however, mainly in how slow and cold the campaign feels. This problem is partly a result of the dry plot, which centres on mega-companies warring in virtual space with duelling AIs, but it’s also a matter of how that story is relayed. Delivering dialogue solely through blue text may fit with the futuristic-yet-retro tone, but couple it with the turn-based gameplay and Frozen Synapse struggles to ever reach anything like a rapid tempo. Thankfully; what the single-player mode lacks in excitement, it eventually makes up for in intrigue. A second single-player mode – Skirmish – provides a snappier alternative to the text-fests of the campaign mode, which is preferable for those with no time to waste. Here you battle against AI in instant or customisable battles, honing your skills against the first computer opponents I’ve battled who actually seem capable of fairly matching human skill. Consistently able but sometimes prone to error, the CPU can both lure and be lured into traps, giving it an insidious edge that makes it wonderfully hard to predict. While duelling with the computer is fun, though, the real war will always be waged online against real opponents. The battles are broken up by servers that track your stats constantly and are rarely have less than half-full, meaning there’s always an important battle for you to watch between the best-ranked players. More interesting than watching matches between these unknowns of unrivalled tactical ability, though, is seeing your friends play. Frozen Synapse’s turn-based gameplay means individual games only require occasional attention, making it excellent for casual play among pals. It’s like a more violent and accessible Neptune’s Pride in how it will leave you scheming and teasing each other for weeks. One lesson I’ve learned from playing Frozen Synapse in full view of a busy office is that everybody wants to tell you how they think you should win. I'm bringing this review to a close now. This is partly because I’ve covered most of the core features of the game, explained why it’s awesome and why you should buy it. Perhaps more importantly, though, I've also just had an email from Mode 7’s servers telling me that an opponent, named Kemp, has pressed the PRIME button in a match we’re playing. ‘Log in to Frozen Synapse to see what happened,’ the email says, as if it knows I can’t stay away. I should stay and think up some pithy, witty way to end this review, but the game is rushing me to finish. So, I’ll just say that Frozen Synapse is the most moreish and brilliant game I’ve played in years. It’s responsible for me dreaming in shades of blue for the last three nights running and I wouldn’t have it any other way. 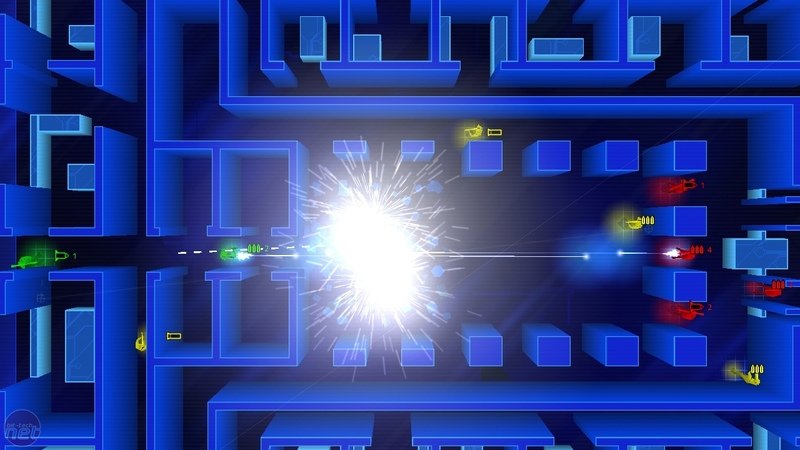 Tactical indie darling Frozen Synapse is getting the console treatment in a release for Playstation 3 and Playsation Vita later this year.